Sometime in late 1967, my high school friend Carter Redd and I began playing guitars together, experimenting and working on songs of the day: Simon & Garfunkel, Bob Dylan, Donovan. Before long we were writing songs and instrumental guitar tunes. The following summer found us at radio station WDCR in Hanover HN discovering the magic of recording studios and beginning to make these recordings. 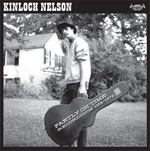 This CD has its roots in the first Newport Guitar Festival, which took place in 2006. I had been invited by Rochester NY luthier Bernie Lehmann to go along for the fun and maybe play a little concert on his guitars as part of the festival. I said, “Sure, why not. 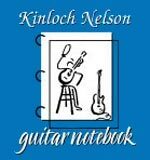 Sounds like fun.” Thus began a journey into the world of steel string guitar luthiery, about which I had known very little. 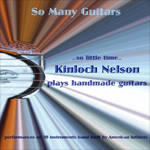 On this recording you will hear ten different handmade guitars (including one antique), some made with traditional materials, others using nontraditional woods and in some cases radical new designs. Could This Be J. T.
Ten songs - some live, some not, some with a band, some solo. 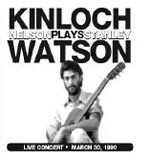 From a live concert recorded in March 1990, Kinloch performs the music of guitarist/composer Stanley Watson. “I bought your CD at the Cantab in Cambridge a few months ago. I wanted to tell you how much I enjoy it. The straightforward simplicity of the arrangements, and the tone you elicit from the guitars make for a subtly virtuosic performance. “I’ve always appreciated someone who could make me listen to and appreciate a song that had been done to death. I thought I’d never want to hear ‘Wichita Lineman’ again, but you changed my mind.